THIS WAY BOOKS - THIS WAY BOOKSTHIS WAY BOOKS | Specialists in local history publications, printed ephemera and historical maps. This Way Books – a selection of vintage seaside holiday guide books. We’re past the first Fairs of 2019 now and are busy preparing lots of new stock for the next fairs. We look forward to welcoming old and new customers this year, come and find that little treasure you didn’t know you wanted (and please say ‘Hello, we saw your website (and/or our Facebook page’, there’s lots of pix there)! Come & meet us! 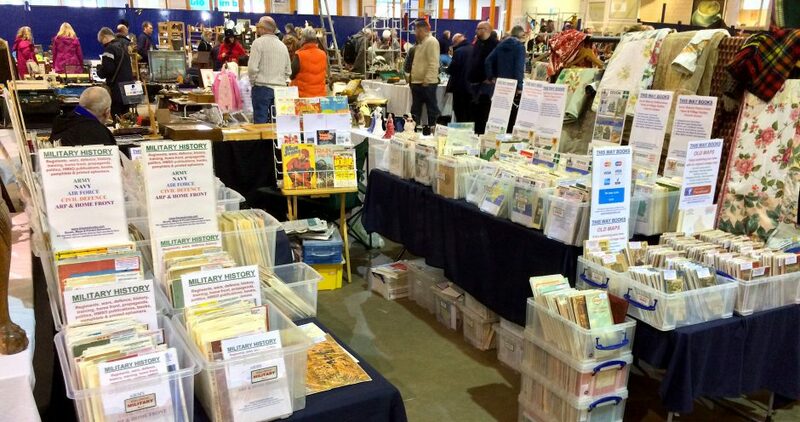 We attend FAMILY HISTORY FAIRS and BOOK FAIRS throughout the year – please click on the EVENTS & FAIRS 2019 page to find the next fair or visit our ONLINE SHOP (or just click on the red letters). We specialise in original, vintage official Town, Parish, County & Church guide books and historical Ordnance Survey Maps (Cassini Maps). We have good stocks of most counties – please ask if you are interested in a particular place in England & Wales. Most original guides contain local histories, information, photographs, street maps and advertisements for local businesses. They are useful publications for Family & Local Historians, Researchers, Genealogists, Map Collectors, Tourists, Walkers, Homeowners and those looking to explore the way we used to live and the places we and our families have known. We also sell at Family History Fairs the popular new series of Cassini Historical Ordnance Survey Maps – enlarged historical maps from the 1800s to the 1920s which match the scale and coverage of modern Ordnance Survey Landranger maps – simply place a Cassini Historical OS Map alongside it’s modern equivalent to see how places have changed over the years. It has never been easier to compare your area from the past to the present! Please visit our Facebook page for updates and information & pictures of events (please see the link on our BLOG page).